So there I was, just chilling in the lounge after a long day at work last week and contemplating what I wanted for dinner, when a WordPress notification popped up. I love seeing these; knowing that someone is taking the time to read or comment on my tiny little blog always brightens my day! And it so happened that this specific notification was from Rhiannon at www.walestowherever.com , telling me that she had nominated me for ‘The Versatile Blogger Award’. Firstly, if this girl hadn’t have nominated myself I would be 100% nominating her for this award. If you are yet to check Rhiannon’s blog out, please use the above link and do so! It is full of HILARIOUS ‘surely this would never happen in real life’ stories, and her writing style really draws you in as a reader; I already feel like I know her and understand her (apart from maybe the whole eating kiwis with the furry skin on; that’s just strange). Secondly Thank You! Thank you Rhiannon for nominating ‘I’ll Be Right Back’ for the Versatile Blogger Award. It is so lovely to know that someone is enjoying my writing and is also looking forward to my future (very close less than 2 months away) trip. Tag fellow bloggers who have fewer than 1000 followers, that in your opinion deserve this award. When I was around 3 (approximate age, I can’t actually remember exactly), I thought I was a cat. Not even kidding, I persuaded our cleaner to buy me a cat bowl which I then preceded to eat out of while constantly watching the Aristocats, and crawling around the floor asking people to pet me. My parents got so worried that they bought me a real cat; Bubbles the babe lived to ripe old age of 16 and I’ve never pretended to be a feline since. I have a habit of persuading my family to buy, adopt and keep fluffy things. Bubbles (cat no. 1) – pretended to be a cat until I got my way, Max (dog no. 1) – dragged my dad to the puppy viewing, knowing he would fall in love with at least one of them, Monty (cat no 2. )- booked my mum into a viewing as I was heading back to University; she returned that evening with a kitten in hand, and finally Dora the Explorer (cat no 3.) – found her abandoned in our shed at 4 weeks old and persuaded my parents that giving her to a shelter would mentally scar her even more. I’m not joking when I say good luck to the poor man who marries me. I will be that wife who comes home from a food shop with another animal. I’m in a constant battle between wanting the perfect Instagram body, and wanting all the fast food and none of the exercise. Truth is I’m lazy and I love chips. That toned Victoria’s Secret tum I wanted for those travelling pics? It’s just not going to happen. My favourite meal is a bowl of plain pasta, roast chicken and ketchup. Yes it sounds disgusting, yes it’s a strange combination. But I love it. Yummy. In the future, I would love to have a job that allowed me to travel the world and explore more countries. After years and years of not knowing what I want to do, travel is the one thing that I am passionate about and I have decided that I am going to chase that dream in one way or another. I’m a proud liberal Feminist who believes that women and men deserve equal rights across the world. I’m not talking about burning my bra or sending men to a distant land; I’m talking about the right for women to have the same schooling and work opportunities, the same pay for doing just as good a job as their male counterparts, to not be judged on whether or not we may go on maternity leave soon and to not be demonised by our choices in life. Gender equality is improving, especially in the Western world. However I constantly feel like women just can’t win. Too much makeup? = You’re not to be taken seriously. Not enough makeup? = Are you a lesbian? And don’t even get me started on female sanitary adverts. I think it’s a shame that Feminism has been tabooed in recent years but I think it is great that celebrities such as Emma Watson are claiming Feminism back as a term to be proud of. Confessions of a Wanderer – This is a blog that I keep coming back to. Sam has now moved back to the US after living in Barcelona for years. Her experiences and struggles of moving across the world and back again highlight both the positive and negative aspects of travel. Plant Based, World Bound – Brittany is a relatively new blogger who has just made the monumental move from Canada to Ireland to be nearer to her partner. Her vegan/vegetarian recipes look amazing and I can’t wait to hear about how life in Ireland is treating her! GreenBlueWorlds – Mena is a bit like me in that she has the travel bug! If you love reading blogs that really capture the vibrancy and spirit of a place, then this is great place to start! Lastly, I would like to make a mention of a larger blog which has over 5000 followers. While I know that this is an award reserved for the small-scale blogger, this individual was the reason I began my blog in the first place. 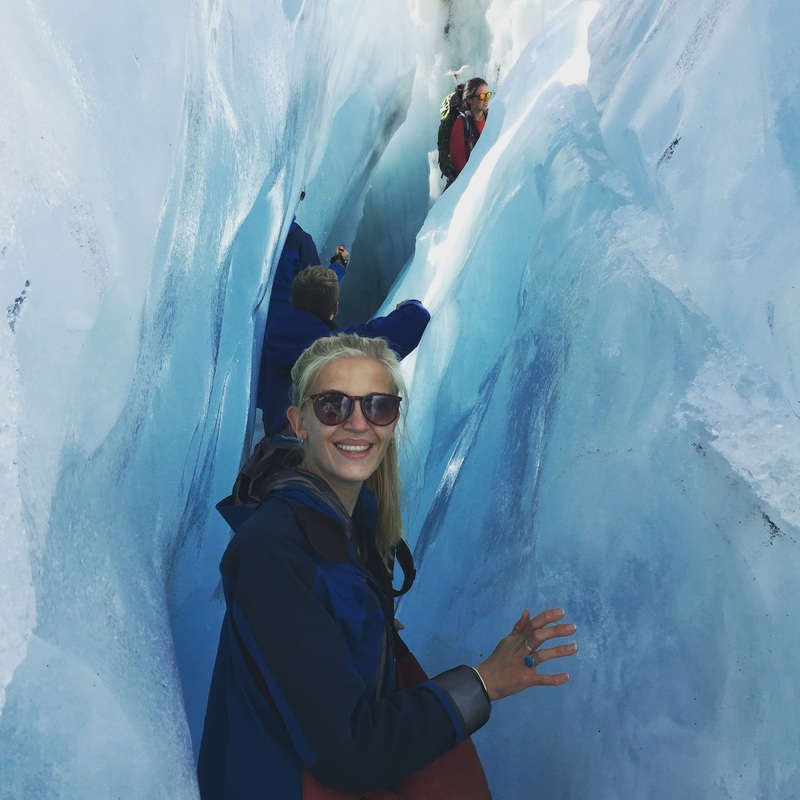 The Well Travelled Postcard is written by Virginia, a fellow alumna of The University of Exeter who caught the travel bug during her year abroad. Her blog has gone from a tiny weekly ‘postcard’ documenting her travels, to something which she can make money from. This post has taught me that I do not regularly follow enough smaller blogs. If anyone knows any gems out there, please do let me know! I hope you enjoyed reading this post and once again, I am super grateful for being nominated!